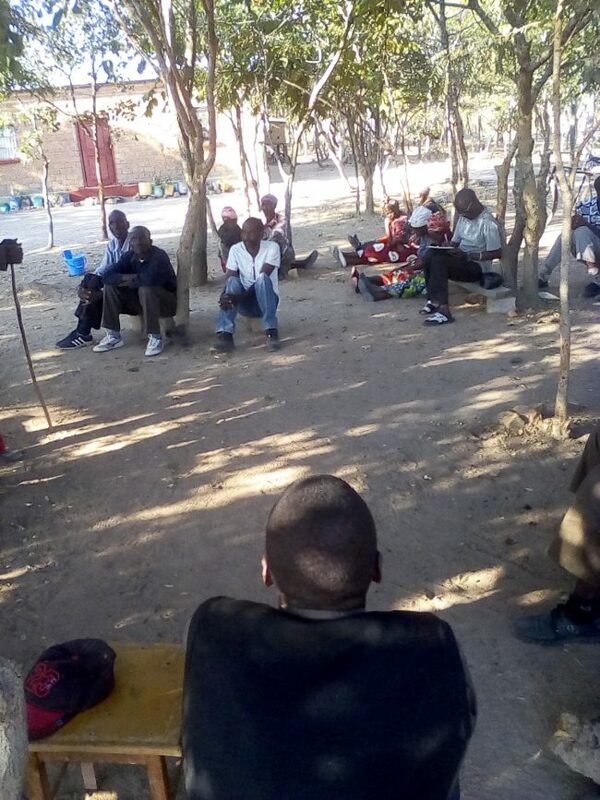 With a very heavy heart, I have remained with no other option but to bring to the attention of the world how the majority subjects of the Mutambe people of Chibesakunda chiefdom have silently suffered for some 30 years without a Chief of their choice, according to the succession customary laws and traditions of the Bisa people. On many occasions we have been subjected to high level pronouncements from successive republican Presidents as well as Ministers on how the Government is working hard to address succession wrangles and disputes in most of the chiefdoms in Zambia. Unfortunately this is far from the reality and truth on the ground – at least regarding the Chibesakunda succession dispute. If anything the Government of the Republic of Zambia has contributed to the many unresolved succession wrangles and disputes by allowing or encouraging the High courts to be presiding over such cases as opposed to the traditional courts based in the respective chiefdoms and jurisdictions. It is not only morally wrong but also a taboo to be subjecting traditional instruments of powers in the undesignated places such as the High courts. It is so humiliating to be subjecting and parading old men and women, the custodians of our traditions, in front of the high courts and be cross examined and ridiculed by well fed lawyers. Apart from logistical problems, some fail to travel because of advanced age and or illnesses giving advantage to those with financial capacity to mobilise other witnesses and end up winning this cases even when they are not the legitimate successors to the throne. 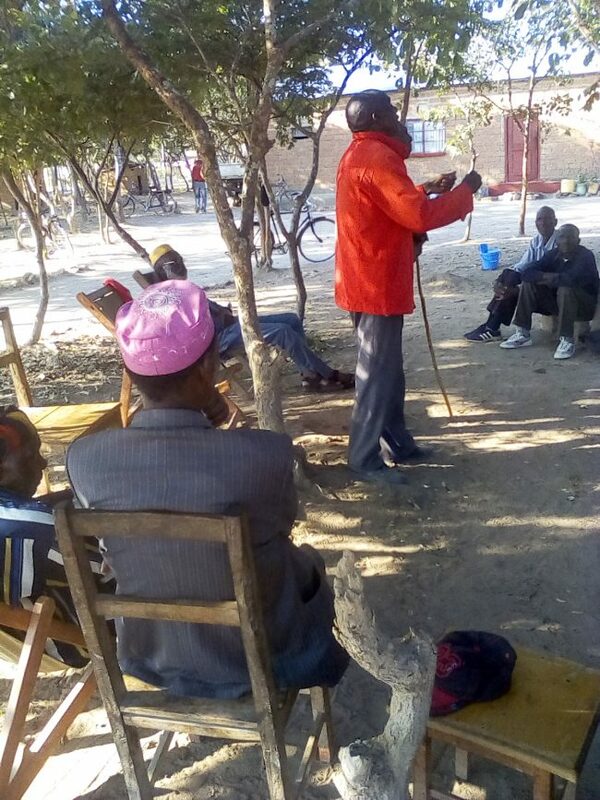 Back to the Chibesakunda succession dispute where the Ngonas and Mutambe people have petitioned the imposition of Bob Bwembya Luo as Chief Chibesakunda. Bob Luo is the grandson to the late Chief Chibesakunda Chikuni born from the daughter of the said late Chief, so according to the Bisas historical traditional matrilineal succession order, he DOES NOT qualify to succeed as Chief Chibesakunda. Just to refresh everyone’s memories, Bob Luo is the young brother to Hon Nkandu Luo who at one time was Minister of Chiefs Affairs. The same Hon Nkandu Luo, if we all remember, was embroiled in the succession war with His Royal Highness paramount Chief Chitimukulu of our brothers the Bemba people. She actually used to fondly refer to Henry Kanyanta Sosala as masquerading as Chief Chitimukulu. That now, as they say, is history. As Mutambe people and the Abena Ngona, the rightful Authority in the Chibesakunda succession matters, we have petitioned successive governments as well as the House of Chiefs for many years but to no avail. In January 2008, members of the Mutambe Royal establishment of Chibesakunda chiefdom, accompanied by all the Bisa Chiefs were given an audience by His Excellence Dr Levy Patrick Mwanawasa, MHSRIP, at State House. Hon Sylvia Masebo, then Minister of Local Government (that time ministry responsible for Chiefs affairs) and the permanent Secretary Mr Joe Ngo attended this meeting. According to people who attended this meeting, Dr Mwanawasa expressed his ignorance about the recognition of Bob Luo as Chief Chibesakunda. He then assured The Royal Highnesses the Bisa Chiefs present that he would investigate further. Dr Mwanawasa few weeks later also summoned Bob Luo to State House to go with his give his side of the story. Bob Luo managed to go to State House but only with one or two village headmen and other people outside the Bena Ngona hierarchy. Upon hearing about this meeting at State House, His Royal Highness Paramount Chief Chitimukulu 37, Chilufya Mulenga 11 convened the ever joint Bemba – Bisa meeting on 30th June 2008 at his palace in Mungwi District. The Mwine Lubemba wanted to get the first hand briefing about the State House meeting and also encourage the Bisa Chiefs that the Bembas brothers and sisters are with them in restoring succession order in Mutambe. 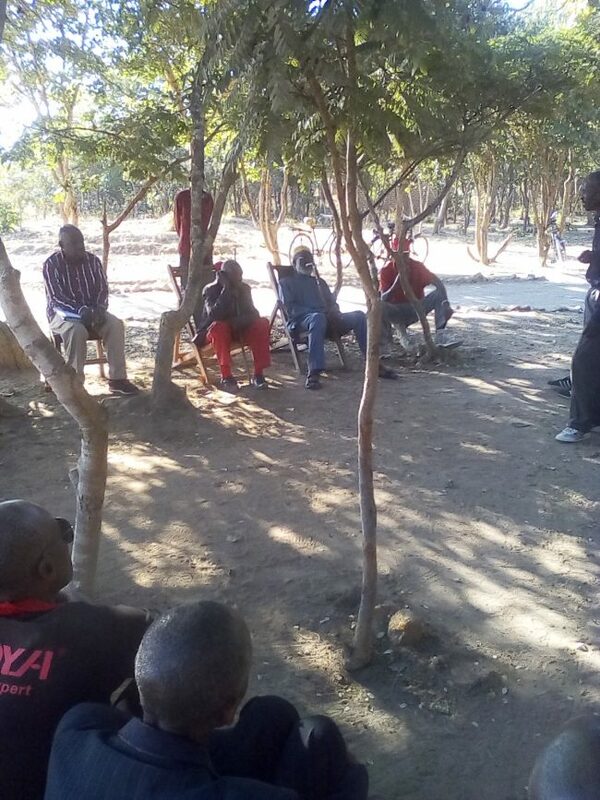 Those who were in attendance were Chiefs of the Bembas Mumpolokoso, Mukwikile and Luchembe. Chiefs of the Bisas Kabinga, Nabwalya, Mukungule, Chiundaponde, Kabanda, Chiwanangala,Matipa. Chieftainess Chanda, the mother of senior Chief Kopa and Judith Kasashi Kapijimpanga, niece to Chief Kopa. Senior Chief Kopa and Chief Mpumba were on apology due to transport challenges. The minutes and resolutions of this meeting were to be tabled at another scheduled meeting between Mwinelubemba, Bemba chiefs, Bisa Chiefs as well as Bob Luo and President Mwanawasa which meeting was scheduled for 17th July 2008 after the President’s return from his official international engagement. His Excellence the President never returned, fell ill during this same trip and died in Egypt 19th August 2008. 19th October 2008, H. E Rupiah Bwezani Banda was elected as republican President. As Mutambe people we had to give the Banda Administration time to settle down but we were assured investigations into the matter would continue from where Mwanawasa had left off. Two years later H. E Ruphiah Banda, after satisfying himself after due inquiry signed Statutory Instrument SI 99 dated 19th November 2010, withdrawing the recognition of Bob Luo as Chief Chibesakunda. In December 2010, Bob obtained and was granted an exparte order of injunction in the High Court by Hon Madam Justice Elita Mwikisa restraining Senior Chief Kopa from installing another candidate as Chief Chibesakunda. In May 2011, Bob Luos injunction was thrown out, with costs. He immediately appealed to the Supreme Court but it was thrown out again and referred back to the High court for trial. Todate, this trial has never taken place because in September 2011 Michael Chilufya Sata won the General Elections after defeating RB, and immediately ( November 2011 revoked SI 99 through SI 122 and reinstated Bob Bwembya Luo as Chief Chibesakunda. Excellent Executive priority towards a mere Chief. Todate the author of this letter has been trooping from office to office: From Ministry of Chiefs to House of Chiefs. No satisfactory answer as to why Sata revoked RB’s Statutory Instrument. When Elephants fight….. Maybe. Institutions of Chieftaincy and traditional institutions are guaranteed and shall exist in accordance with culture, customs and traditions of the people to whom they apply.” Yes us the people of Mutambe and not the High courts, not the President, not Parliament but US THE SUBJECTS to whom they apply. Armed with this piece of legislation I rushed to the House of Chiefs in September 2017 to seek their guidance on how we should proceed to remove Bob Luo. Under the chairmanship of His Royal Highness, I was given audience and a subcommittee was constituted to be chaired by HRH Chief Mumena. Members were Royal Highnesses Chiwala, Chamuka, Macha,Mkanda, Lupupa and Inyambo. We were guided that the committe would summon the two parties: Us the Petitioners and Bob, the Respondents. On the scheduled hearing day of 9th November 2017, Bob Luo decided to come with a Lawyer, Sakwiba Sikota. Mr Sikota told the committee that he was going to speak on behalf of the respondent but the committee rejected this move as unprecedented. Matters before the House of Chiefs are traditional in nature and Lawyers are not allowed to speak but can sit in as observers. Mr Sikota stood his grounds and saved the committee with his letter questioning the legitimacy of the inquiry. The hearing could not proceed as the House of Chiefs had to seek the guidance of the Attorney General through their letter to the AG Chambers dated 10th November 2017. Todate 10th January 2019, this legal opinion from our Hon and learned Attorney General has not been rendered to the House of Chiefs. Meaning the Chibesa Chibesakunda tribunal can not continue. 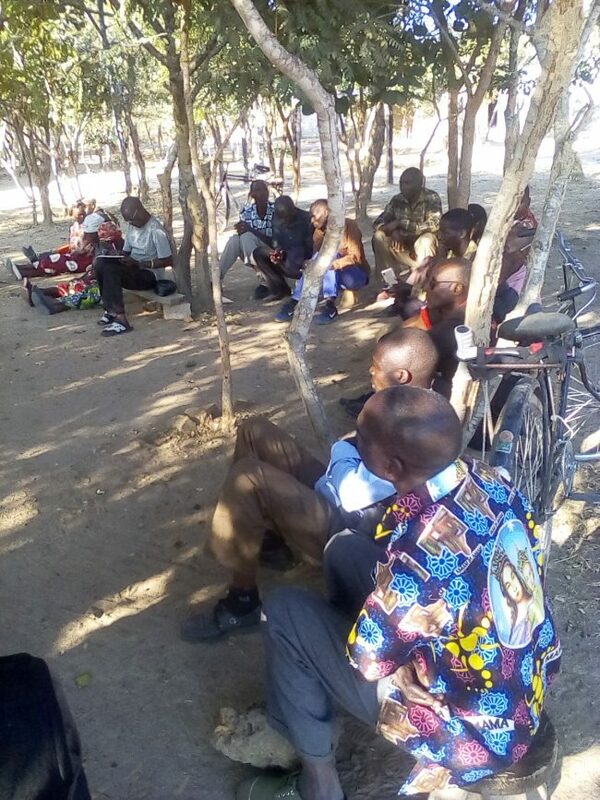 On 4th August 2018, about 30 village headmen and two subchiefs convened a meeting at Village Headman Matumbo residence where the meeting made some strong resolutions including calling upon the House of Chiefs to travel to Mutambe immediately to amicably solve the impasse. See pictures of the many of the meetings that have been held but all our pleas have not been seriously taken because WE ARE DOCILE people.